This is your opportunity to make a tangible difference in the life of a current student. Dean Dominic Brewer has agreed to match $1,200 to further the impact of our alumni contributions and demonstrate the collective power of your support. If 250 donors make a gift of any amount between now and midnight on One Day, March 28th, he will unlock these funds for a student in the next academic year. This is your chance to make your support go even further. Not only will your contribution help to fund the programs most important to you—whether it be a student organization, program, or anything else—it will also be a part of a larger effort to create a scholarship for a deserving student. It’s like your gift counts twice. 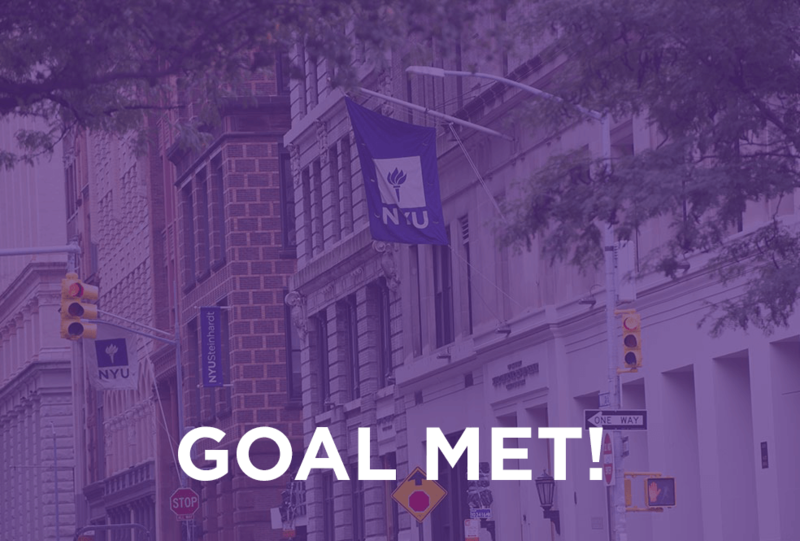 Our alumni know the power of an NYU education, and through our collective efforts, another deserving student will be able to access that education regardless of financial barriers.